Patch 4.3 on the PTR! Update: Blizzard explains incoming changes. Update 2: Blizzard posts patch notes. Wow. Talk about some wild changes. Let’s list them out how they effect people, as seen so far on the PTR. Keep in mind, these will all change before release. Blade barrier doesn’t require blood runes on cooldown anymore. Static 6% less damage. Death Strike always heals even on miss. Bone Shield has 6 charges instead of 4. Very slight Howling Blast Nerf. Made up for by the new attack power buff. Wild Growth Nerf (20% nerf on base heal amount). Paladin (Setta): No changes yet (Might buff matching the others). Divine Plea grants a holy power charge now. Holy Radiance can now be cast on any raid member. Heals targets around that party member. Has initial up front heal followed up by a 3 second HoT afterwards. 3 second cast time and now grants a holy power charge. Has no cooldown! Infusion of Light affects Holy Radiance. Judgements of the Pure now grants a regeneration bonus from spirit rather than mana back. Seal of Light no longer grants 15% mana on judgement. Clarity of Purpose effects Holy Radiance. Judgements of the Pure 3/3 increases mana regen by 30% (possibly for the full duration) in addition to 9% haste. Light of Dawn affects 6 targets naturally now. Paragon of Virtue reduces cooldown of Divine Protection by an additional 10 seconds. Speed of Light now grants speed upon using Divine Protection instead of the other spells. Tower of Radiance will cause Holy Radiance to grant an addition holy power charge. Priest (Loiraine): No changes yet. Ambush nerf (190% weapon damage plus 697.3 1325). Backstab nerf (200% weapon damage plus 690 1380). Mutilate buff (no longer requires poisons for 20% additional damage). Ancestral Healing, healing crits reduce damage by 5% instead of 10%. Now it will increase health of the target by 10% of the healing done, up to a maximum of 10% of the targets total health. Cleansing Waters can only happen once every 6 seconds. Riptide buff ( Heals a friendly target for 2363 and another 5585 3725 over 15 sec). Mage (Raveion): No changes yet. I’ll update this in new posts when new information arrives. Whoa nelly. Lots of changes incoming. Here’s the Tier 13 set pieces, be aware none of these are set in stone. Also, check out MMO-Champion for some interesting class changes. Big AoE changes, and significant Pally healing changes. Balance, 2P — Insect Swarm increases all damage done by your Starfire, Starsurge, and Wrath spells against that target by 3%. Balance, 4P — Starsurge generates 100% extra Lunar or Solar energy while Eclipse is not active. Feral, 2P — While Berserk is active, Savage Defense absorbs are 100% larger, and your Blood in the Water talent now causes Ferocious Bite to refresh the duration of your Rip on targets with 60% or less health. Feral, 4P — Frenzied Regeneration also affects all raid and party members, and your Stampede talent now grants two charges after using Feral Charge (Cat). Restoration, 2P — After using Innervate, the mana cost of your healing spells is reduced by 25% for 15 sec. Restoration, 4P — Your Rejuvenation and Regrowth spells have a 10% chance to Timeslip and have double the normal duration. 2P — Steady Shot and Cobra Shot generate double the amount of focus. 4P — Your Arcane Shot ability has a chance to grant 25% haste to you and your pet for 10 sec. 2P — Your damaging spells have a 30% chance to grant Stolen Time, increasing your haste rating by 50 for 30 sec and stacking up to 10 times. When Arcane Power, Combustion, or Icy Veins expires, all stacks of Stolen Time are lost. 4P — Each stack of Stolen Time also reduces the cooldown of Arcane Power by 3 sec, Combustion by 4 sec, and Icy Veins by 6 sec. Holy, 2P — After using Divine Favor, the mana cost of your healing spells is reduced by 25% for 15 sec. Holy, 4P — Increases the healing done by your Holy Radiance spell by 20%. Protection, 2P — Your Judgement ability now also grants a physical absorb shield equal to 30% of the damage it dealt. Protection, 4P — Reduces the cooldown of Divine Guardian by 60 sec and increases the radius of its effect by 70 yards. Retribution, 2P — Your Judgement ability has a 50% chance to generate 1 Holy Power. Retribution, 4P — While Zealotry is active your abilities deal 12% more damage. Healer, 4P — Your Power Word: Shield has a 10% chance to absorb 100% additional damage, and the cooldown of your Holy Word abilities is reduced by 20%. Shadow, 2P — Shadow Word: Death deals an additional 55% damage, and you no longer take damage from your own Shadow Word: Death when the target fails to die. Shadow, 4P — Your Shadowfiend and Shadowy Apparitions have a 100% chance to grant you 3 Shadow Orbs each time they deal damage. 2P — After triggering Tricks of the Trade, your abilities cost 20% less energy for 6 sec. 4P — Increases the duration of Shadow Dance by 2 sec, Adrenaline Rush by 3 sec, and Vendetta by 9 sec. Elemental, 2P — Elemental Mastery also grants you 400 mastery rating 15 sec. Elemental, 4P — Each time Elemental Overload triggers, you gain 200 haste rating for 4 sec, stacking up to 3 times. Enhancement, 2P — While you have any stacks of Maelstrom Weapon, your Lightning Bolt, Chain Lightning, and healing spells deal 20% more healing or damage. Enhancement, 4P — Your Feral Spirits have a 45% chance to grant you a charge of Maelstrom Weapon each time they deal damage. Restoration, 2P — After using Mana Tide Totem, the cost of your healing spells are reduced by 25% for 15 sec. Restoration, 4P — Increases the duration of Spiritwalker’s Grace by 5 sec, and you gain 30% haste while Spiritwalker’s grace is active. 4P — Soulburn grants a 10% increase to your spell power for 10 sec. Protection, 2P — Your Revenge ability now also grants a physical absorption shield equal to 20% of the damage done by Revenge. Protection, 4P — Your Shield Wall ability now grants 50% of its effect to all party and raid members. DPS, 2P — Heroic Strike costs 10 less rage while Inner Rage is active. DPS, 4P — Your Execute critical strikes have a 20% chance to refresh the duration of Colossus Smash. With the final showdown against Deathwing approaching, we’ve been keeping a close eye on players’ progress through the current Firelands raid content. 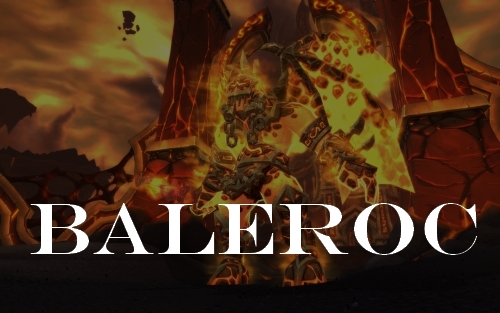 Before patch 4.3 is released, we want groups who are working on Heroic-difficulty content to be able to get as close to Ragnaros as possible, and we want players who are tackling normal progression to be able to experience as many of the encounters as they can. To achieve these goals, we’ll be toning down the difficulty of both normal and Heroic raids through hotfixes in the coming weeks. In general, we plan to reduce health and damage of all raid bosses in both normal and Heroic Firelands by around the same percentage we brought difficulty down for the original Cataclysm raids when Rage of the Firelands (patch 4.2) was released. We’re looking forward to seeing more groups of players face off against the Fire Lord in the weeks ahead. However, before we make these changes, we want to give everyone a final shot at the bosses at their current difficulty level — so this is a heads up that we’re planning to apply the difficulty hotfixes beginning the week of September 19. Looks like we’ll need to speed up the pace a bit.